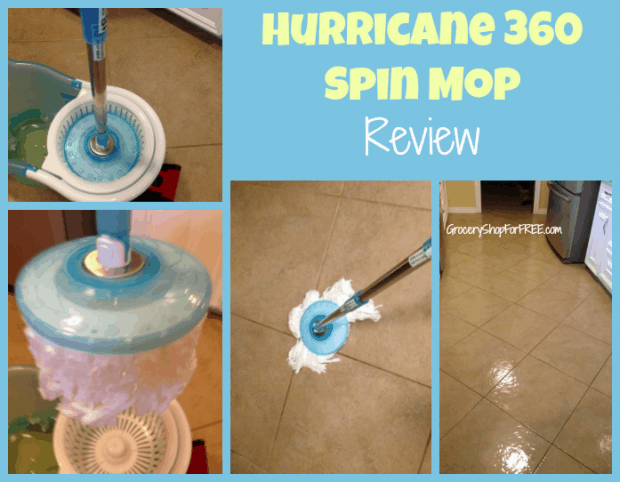 Hurricane 360 Spin Mop Review! 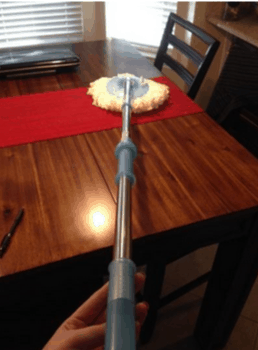 You are here: Home / Sponsored / Hurricane 360 Spin Mop Review! 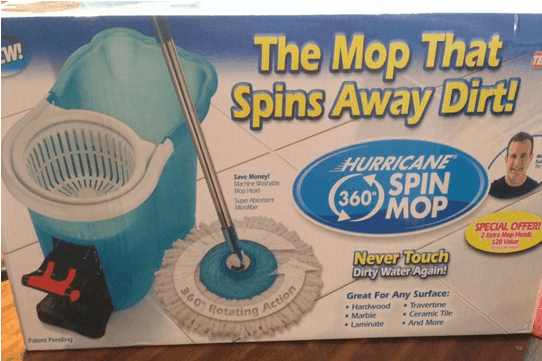 Recently I received a Hurricane 360 Spin Mop to review, I had seen it on TV and was very interested in seeing how it really worked. 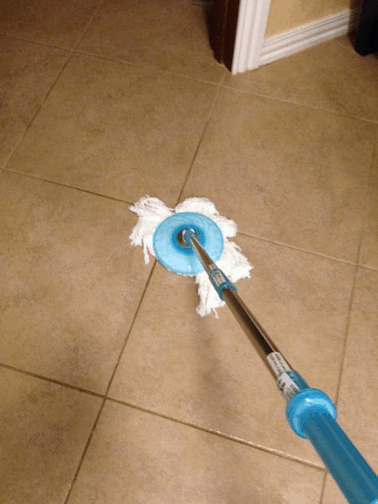 My friend Michaela came over one day and she and her Hubby just bought their first home and she was telling me (since I haven’t visited, yet 🙂 ) that most of the house is tile or hardwood, so we thought what a perfect opportunity to try out the Hurricane 360 Spin Mop! 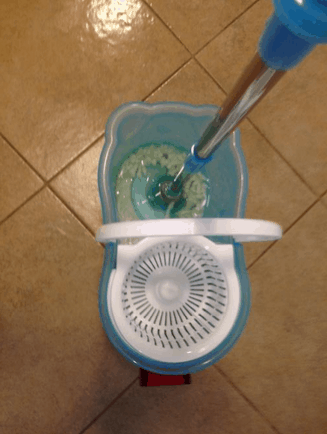 Over the past couple weeks I had the opportunity to try out the Hurricane 360 Spin Mop. My house is completely tile or hardwood except for the bedroom and keeping them clean and shiny is a little tricky and to be honest a pain. I was anxious to try the Hurricane 360 Spin Mop and had seen it on the TV commercials, but had not taken the plunge and bought one. When I was given the chance to try it, I took it. Let me walk you through my experience. The Hurricane Spin Mop came in an easy to carry box that was light weight and had a handle on it. 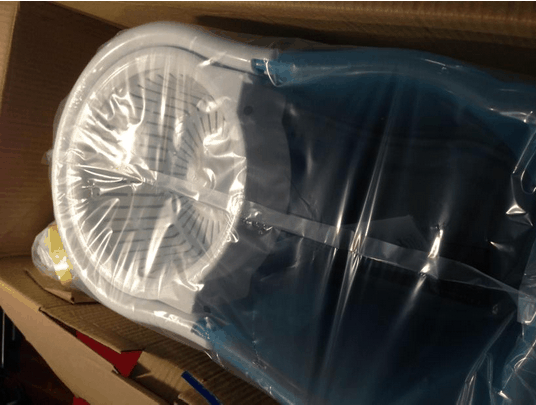 The packaging was simple and did not include any extra cushion, but I don’t think it was necessary because the apparatus is made from thick hard plastic and seems durable. 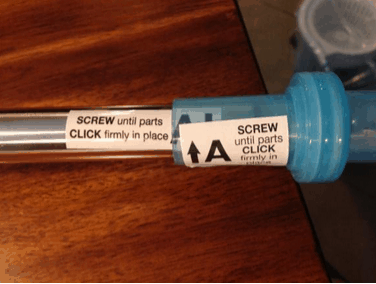 The easy to use instructions made for a quick assembly. It only took about 5 minutes to read through and piece together the mop portion. Basically after clicking the handle in place, I was ready to roll. 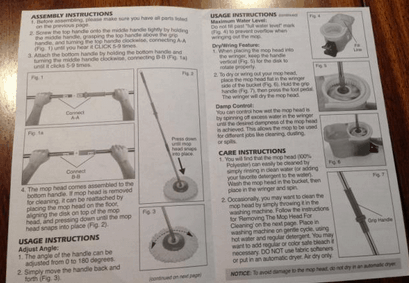 Once the mop head was wet, I followed specific instructions to place in the spinning side, ensuring that the handle was standing straight up. I gave the lever a couple pumps with my foot and saw some water trickle back into the bucket. 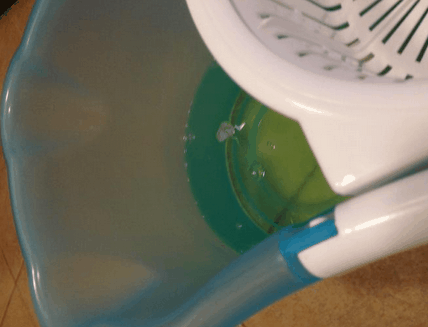 I thought that was enough and proceeded to start moping my kitchen, but quickly realized that the mop head soaks up way more water than I thought, so I had to repeat the pumping step until more water came out. I mopped a good portion of my kitchen before I had to go back and rinse/re-soak the mop head. 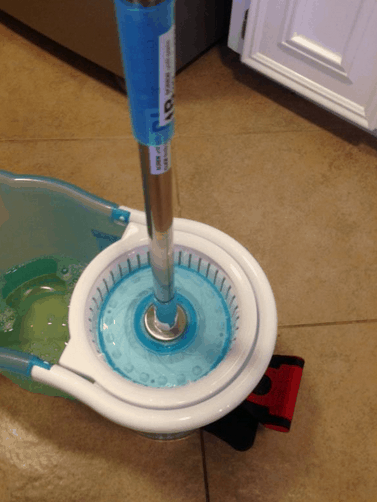 The Hurricane Spin Mop is simple to assemble, light weight, and easy to use. 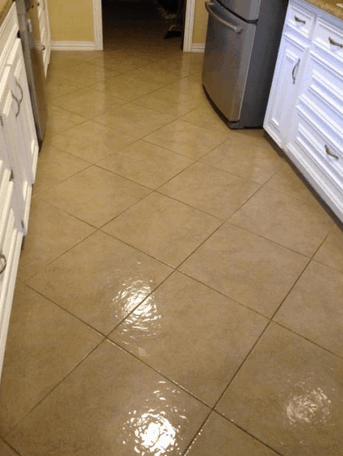 It took about 5 minutes to mop my kitchen and dining room, and before I was spending more time using other products, scrubbing the floors because they would lose solution and not wet the flooring enough. I’m above average height, and the handle is not adjustable, so I had to stoop a little lower than normal (good thing it only took 5 minutes to mop). The microfiber head sheds a little at first, so I had to wait until the floor was dry so I could pick up a couple strands from the mop head. 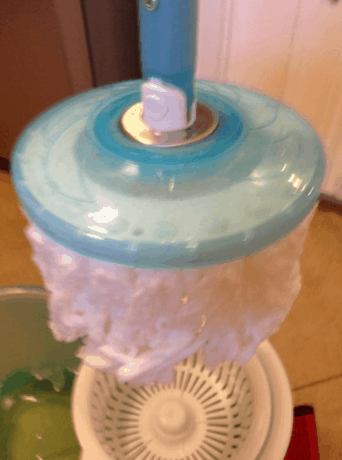 I rinsed the mop head in the sink to clean the dirt from it, and turned it upside down and put it in the garage to dry. I plan on using it a couple more times before throwing it in the washing machine. Overall, I was pretty pleased with the Hurricane 360 Spin Mop. Thank you I wanted to buy this product but was unsure. This rating you gAve was trully helpful & knowing how quick it mood it’s a sure buy. Thank you life’s so much easier with a little help & the proper products when cleaning.